Quantity discounts available. Contact us for more information. 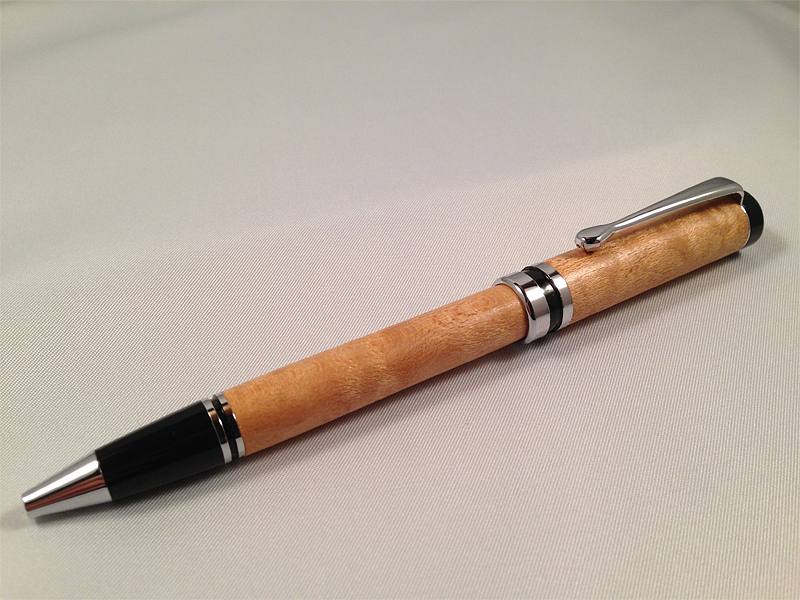 See below for custom wood pens. 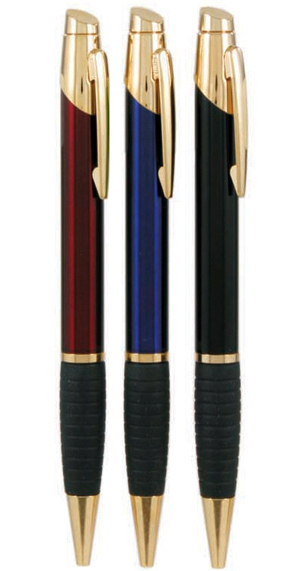 Ballpoint pen with gripper and blue ink, engraves gold. Does not come as a set. Maximum of 2 lines of engraving. Minimum qty of 12. For a qty of 50 or more please email us for discount pricing. 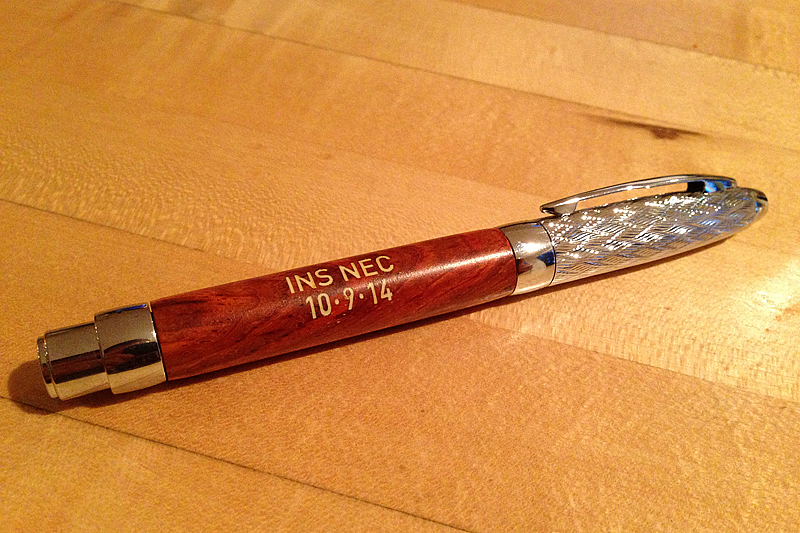 Ballpoint pen with gripper and black ink, engraves silver. Does not come as a set. Maximum of 2 lines of engraving. 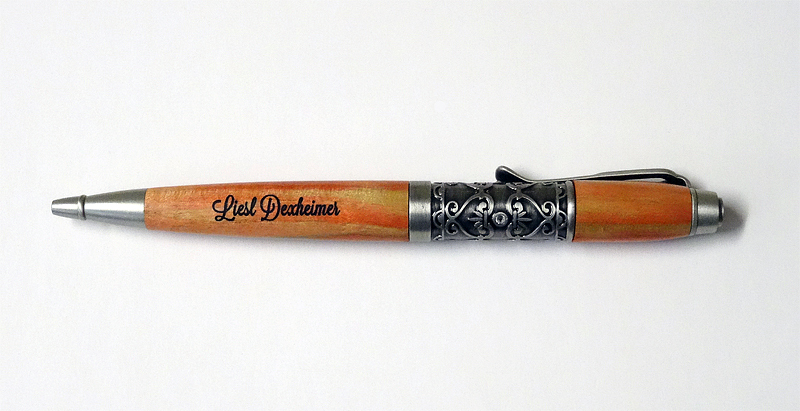 Custom wood pens are available upon request. 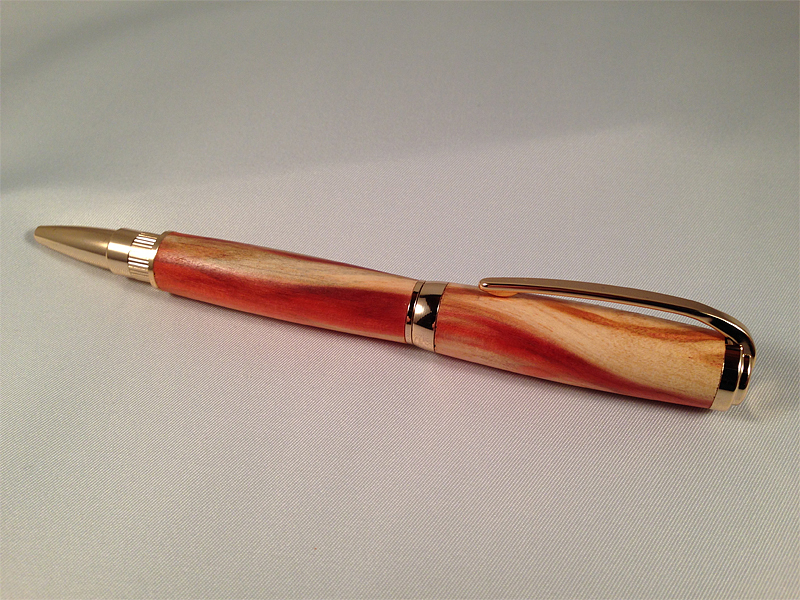 Wood choices include maple, rosewood, flame box elder and more. Findings come in different styles. 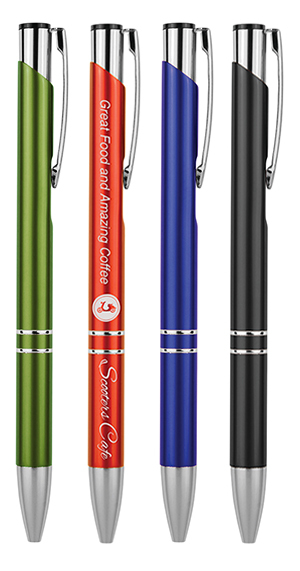 Prices range between $40.00 - $100.00.Pens can be engraved. 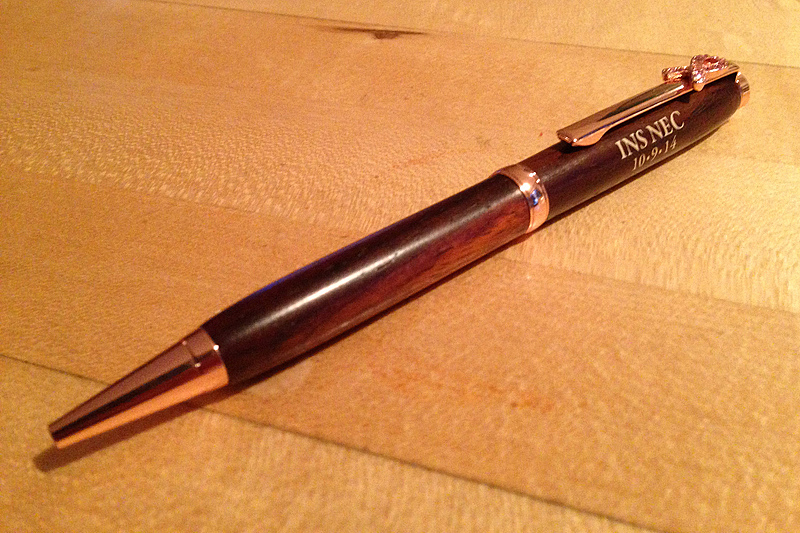 Pens come with either a wooden or leatherette case. Please contact us for more information.